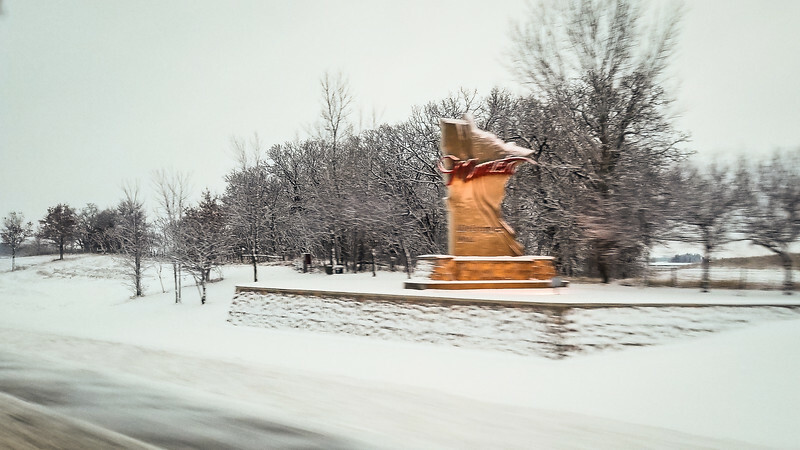 Entering Minnesota. It's too bad I didn't get a good picture of this. It was the most ornate state sign we saw. We're actually heading North on I-90 right now and would turn left to go West shortly.